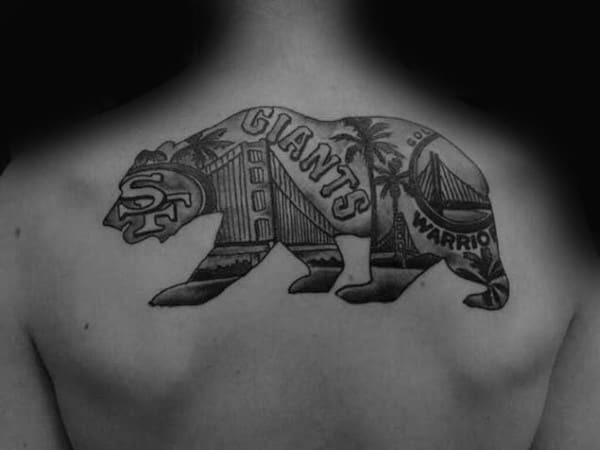 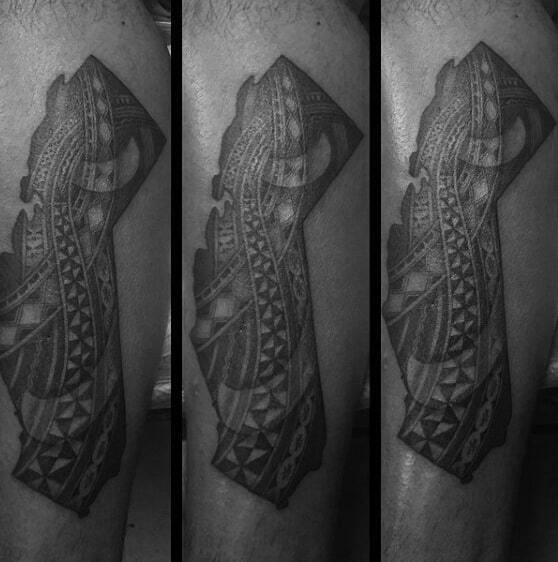 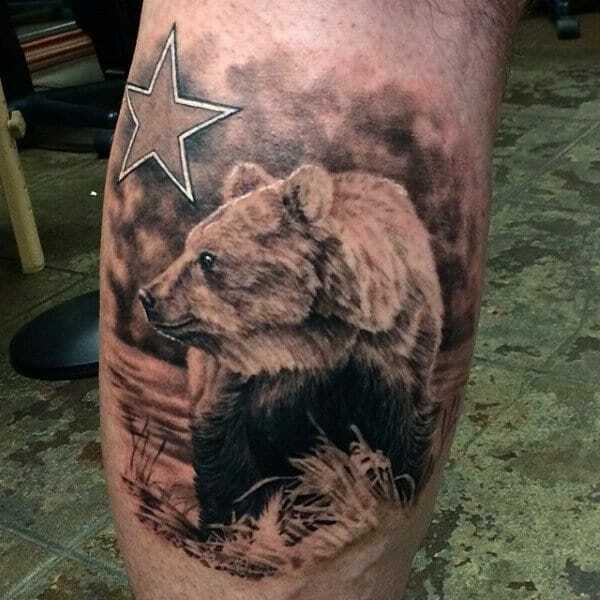 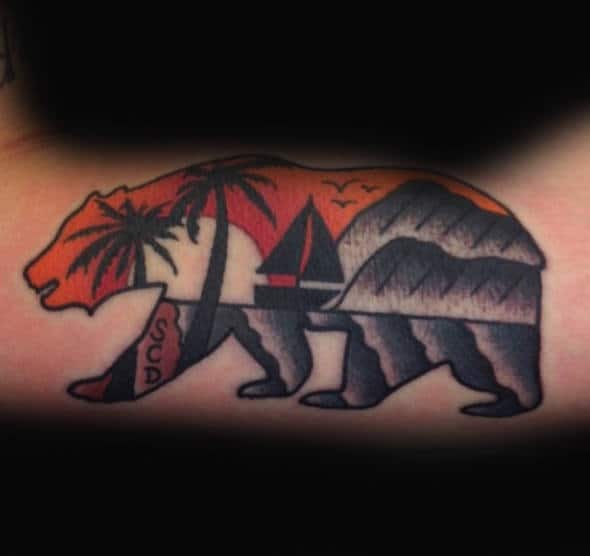 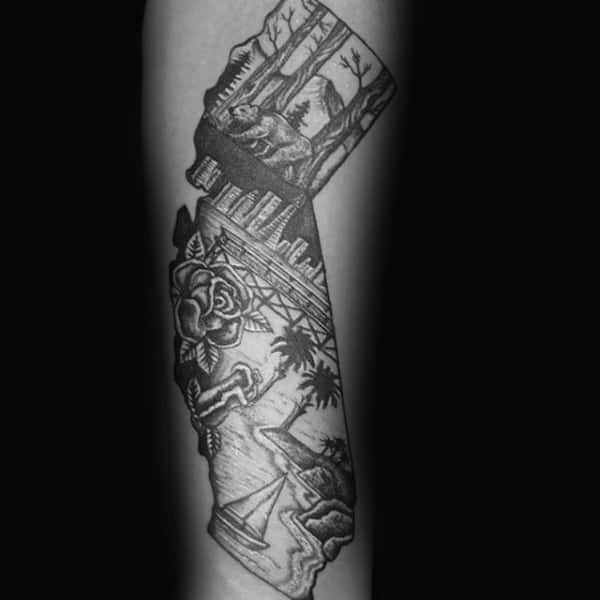 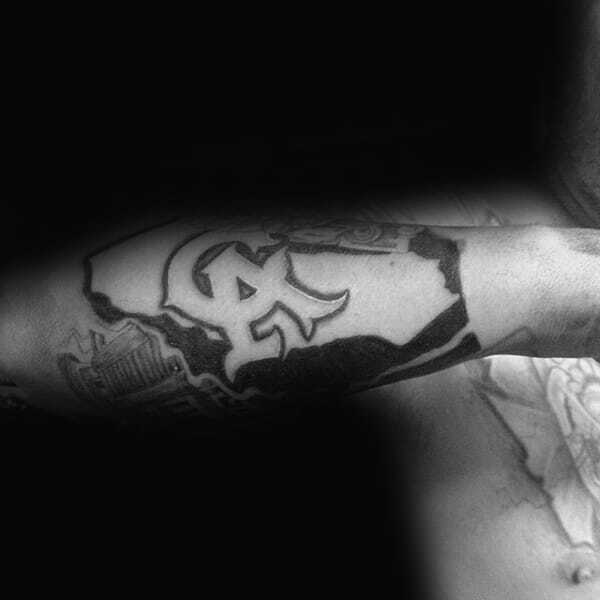 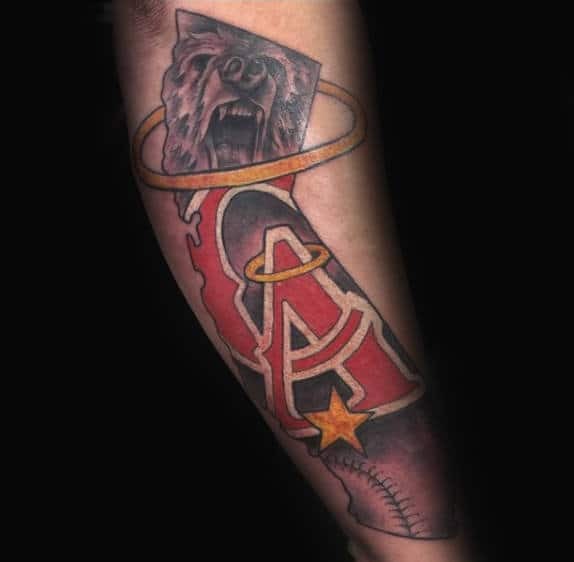 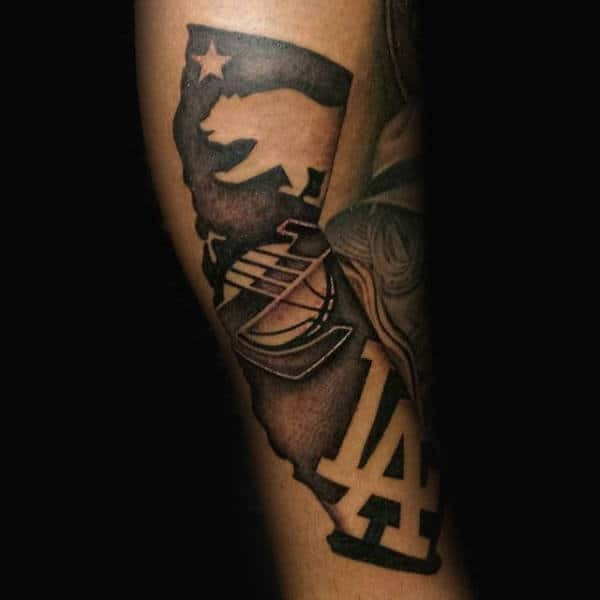 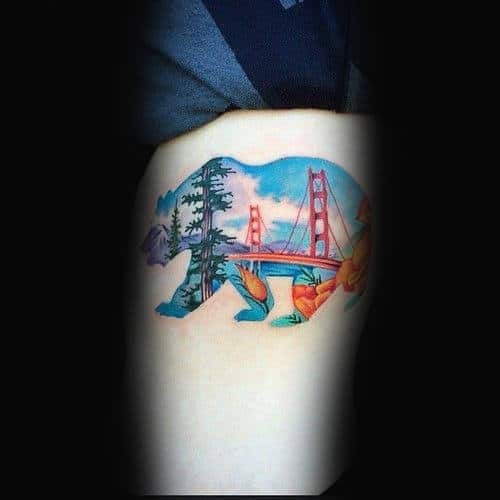 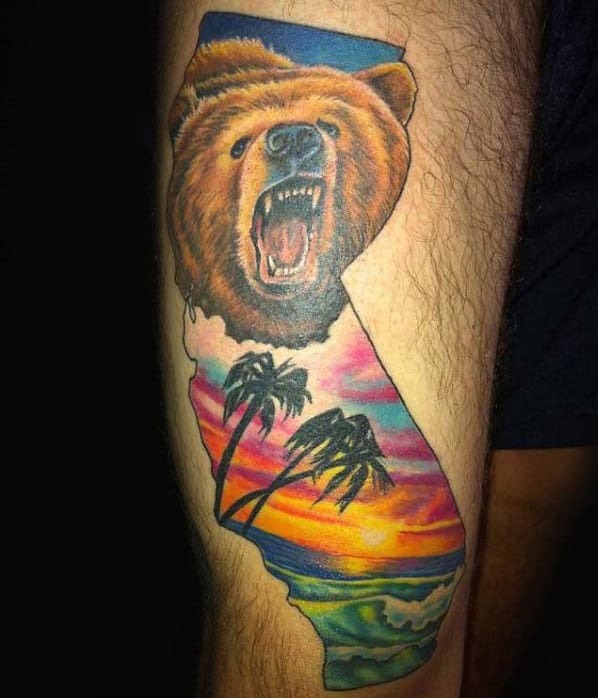 Pacific pride is specifically enhanced by the craze of California tattoos. 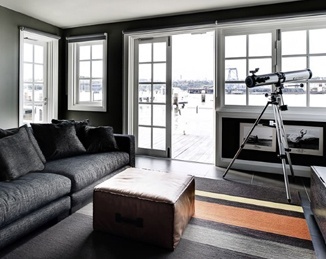 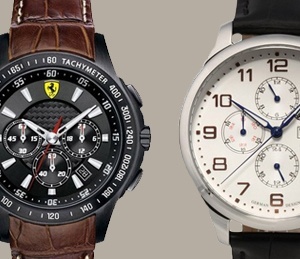 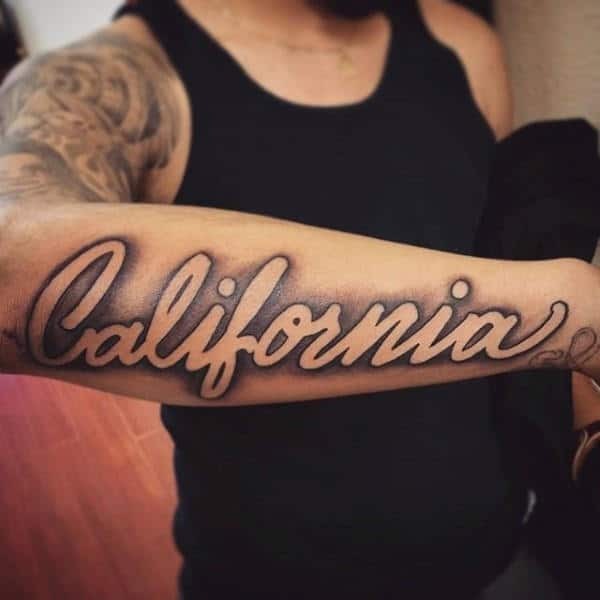 There are countless ways to pull off this startling trend, and all of them are guaranteed to leave onlookers positively thrilled. 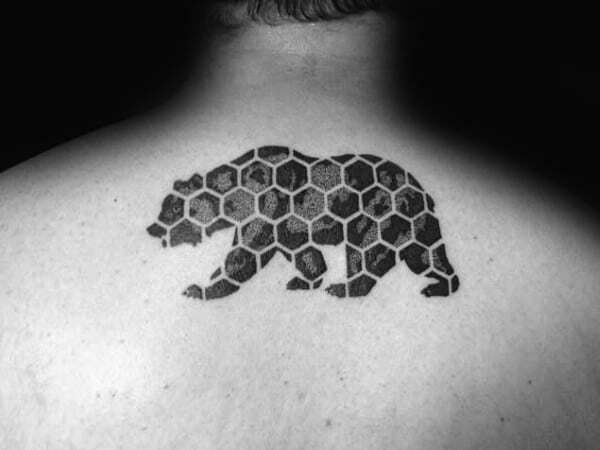 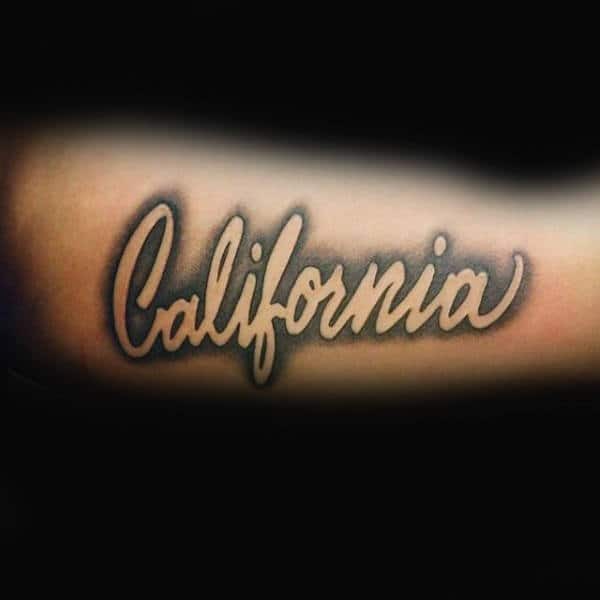 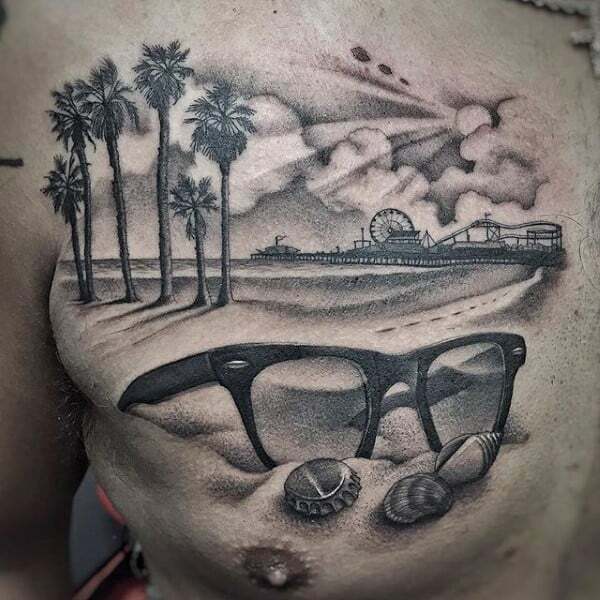 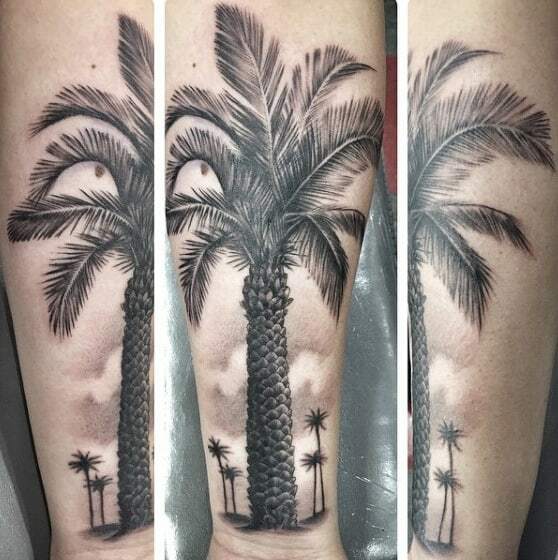 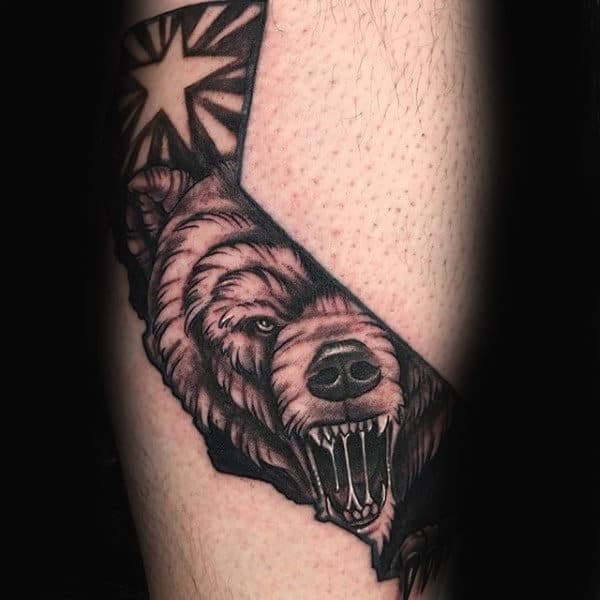 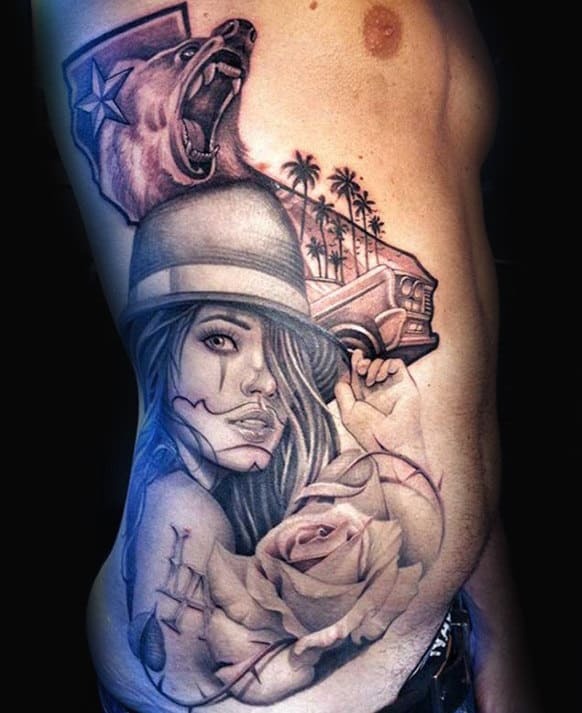 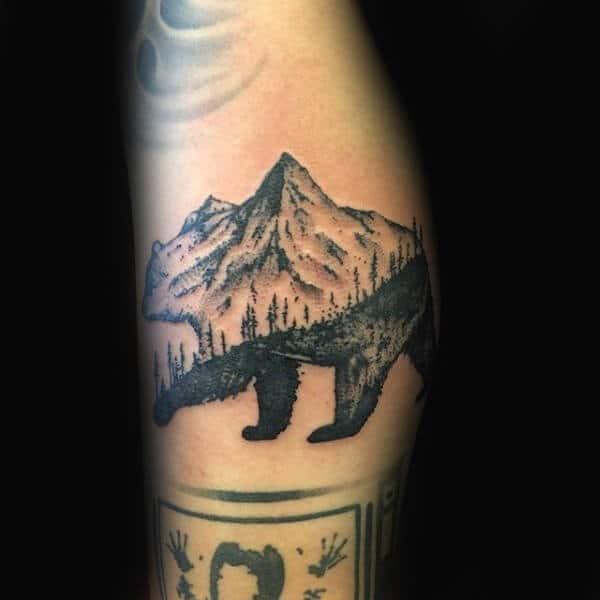 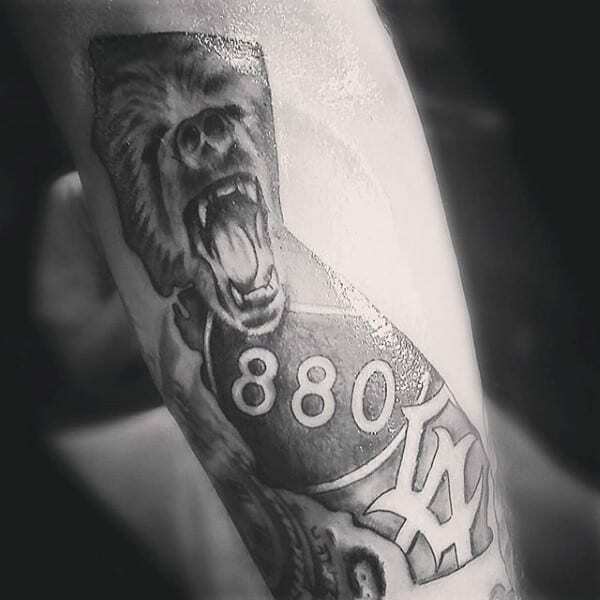 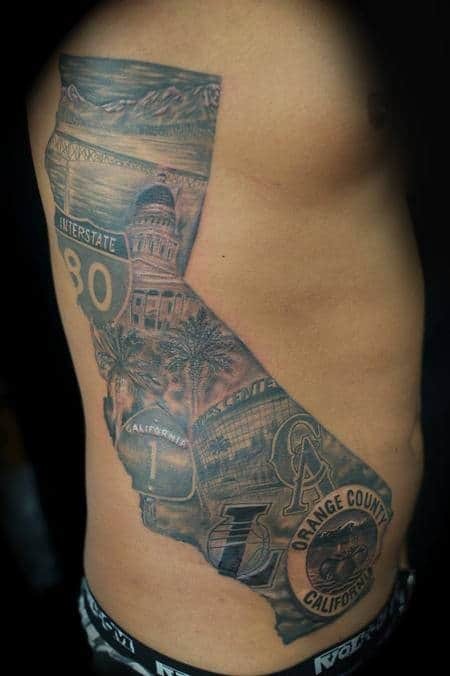 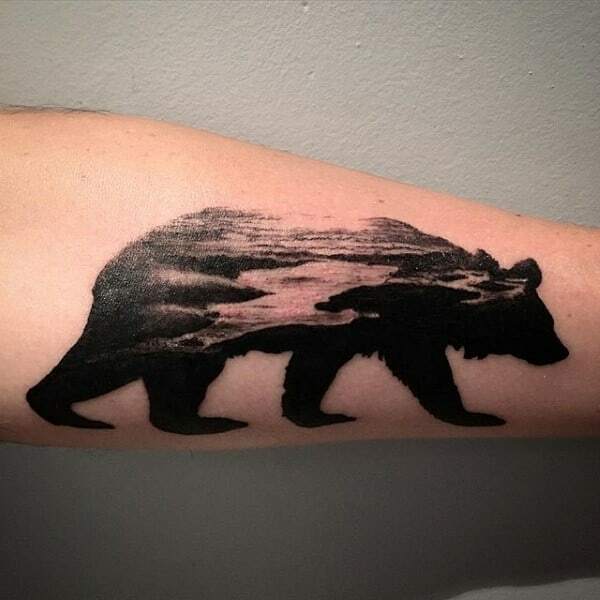 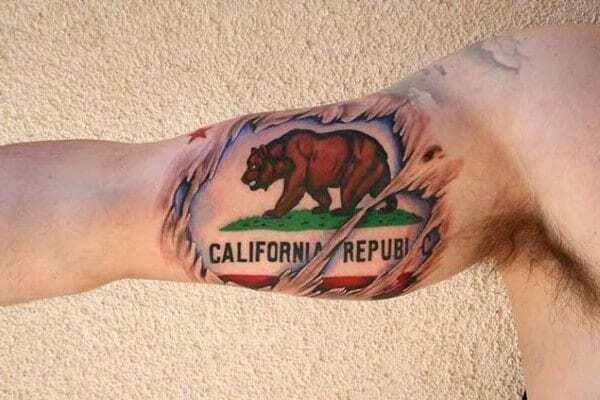 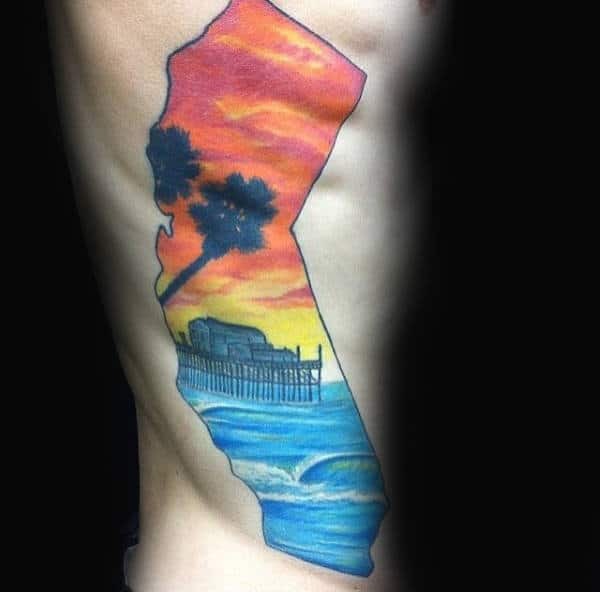 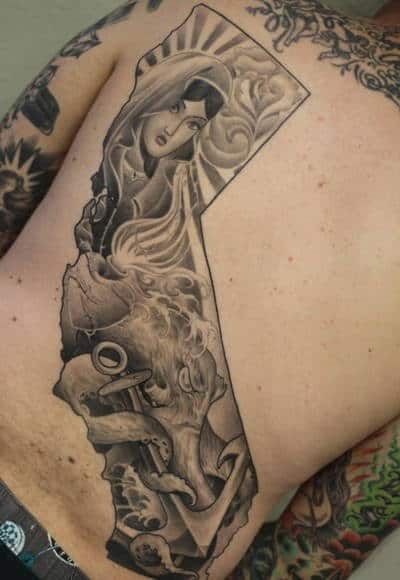 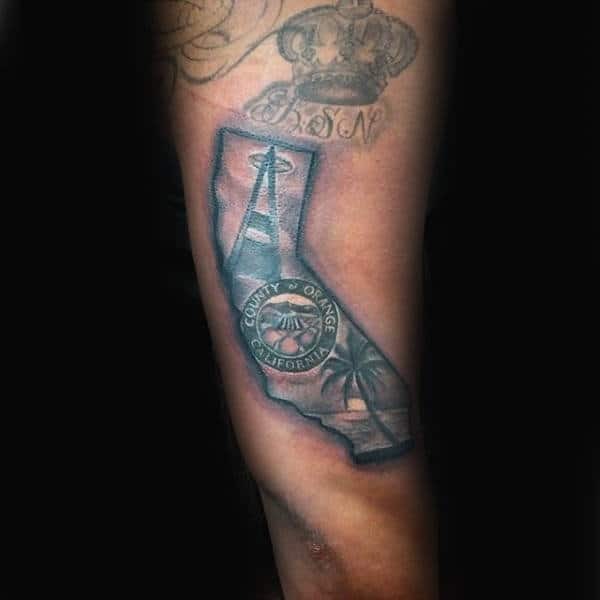 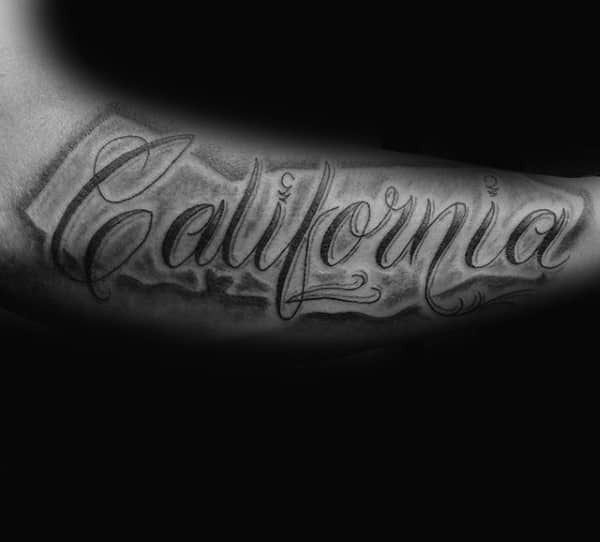 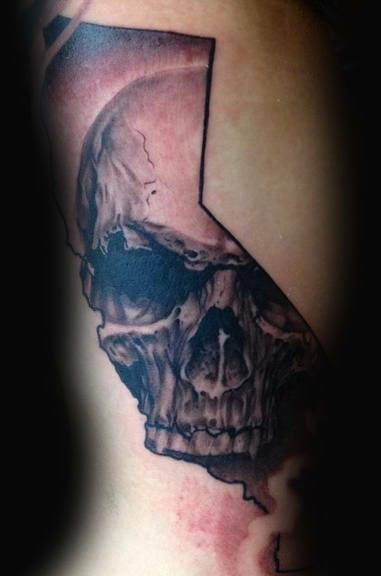 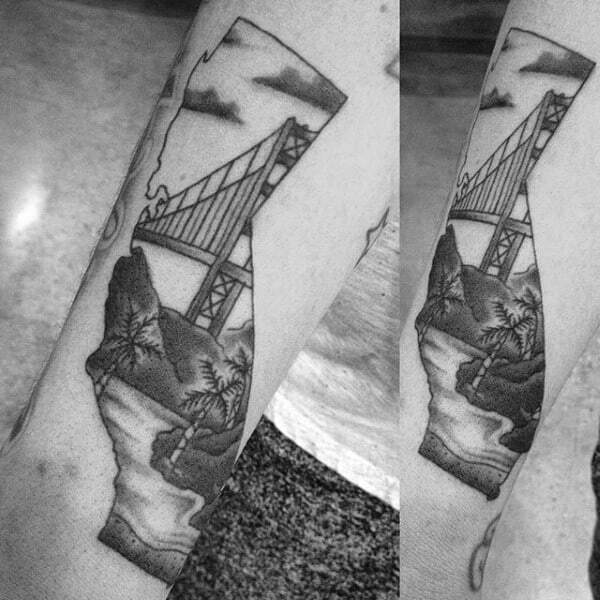 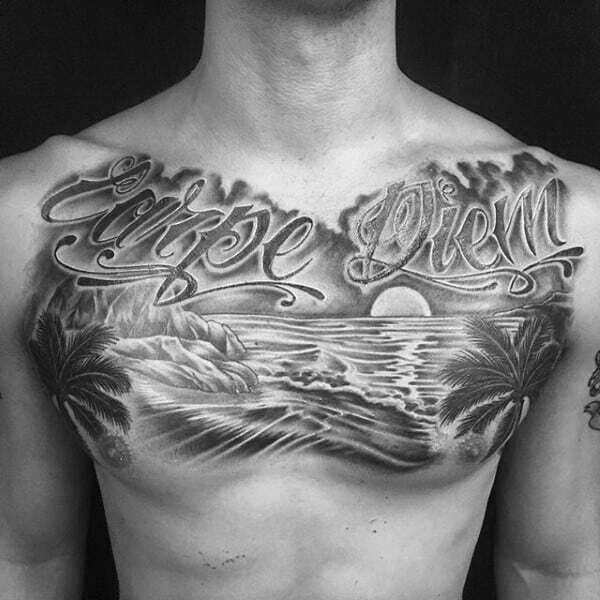 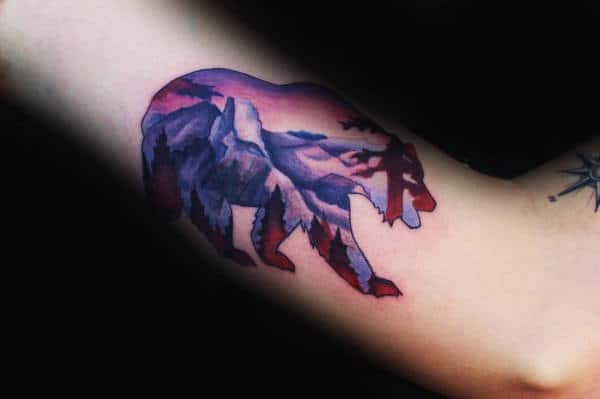 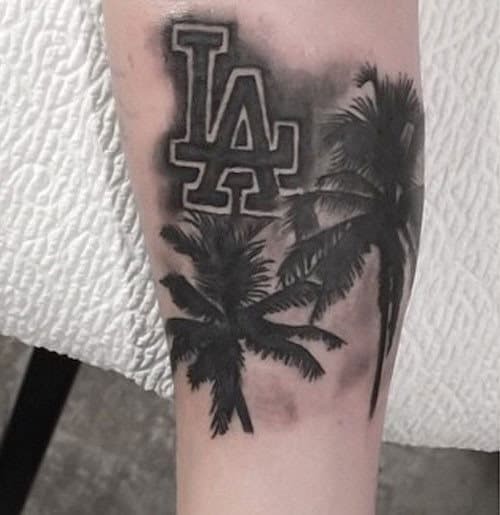 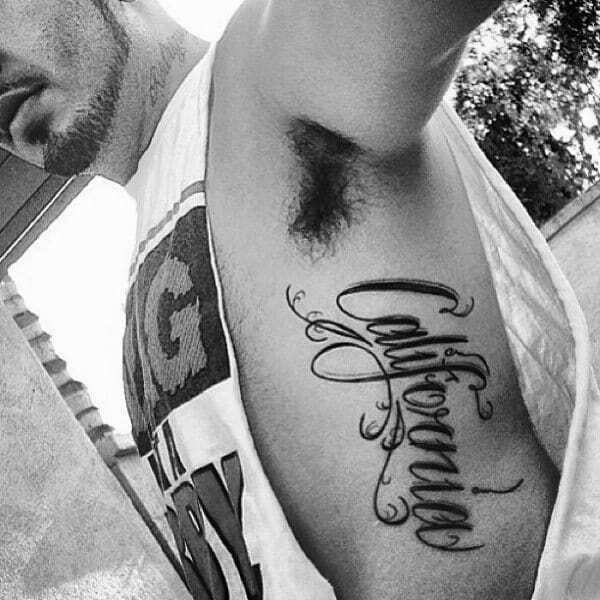 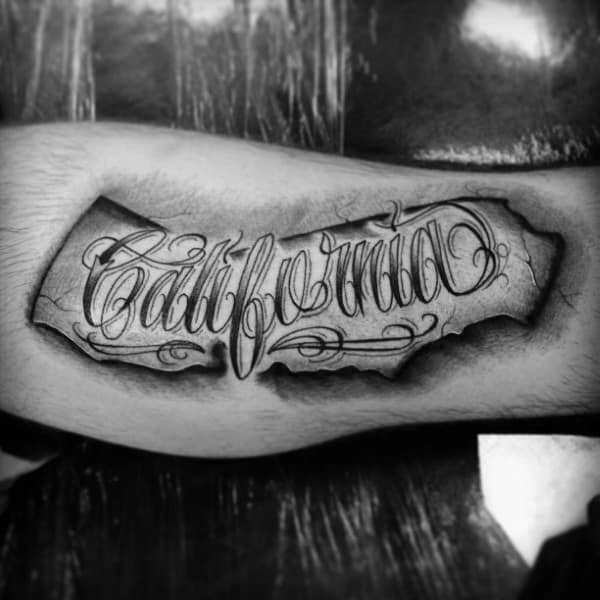 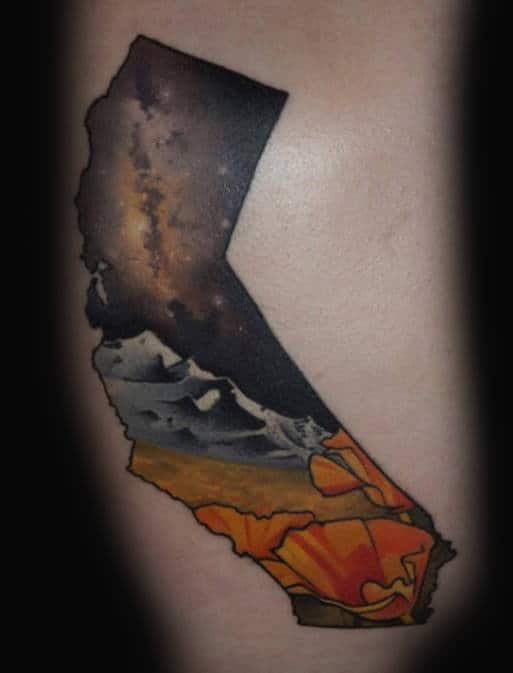 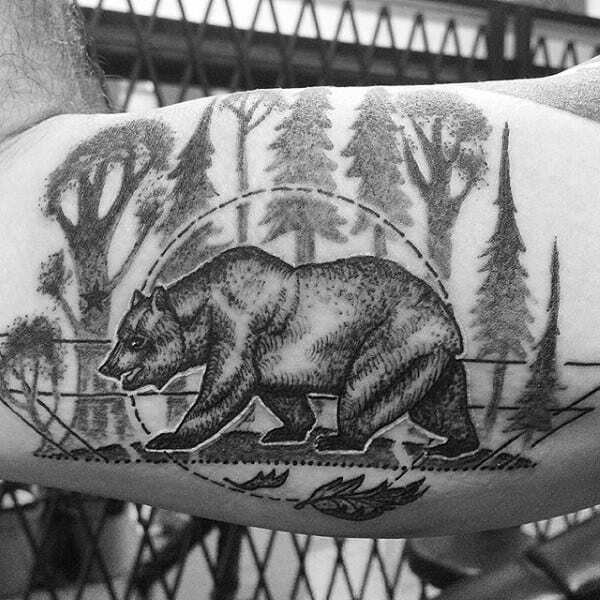 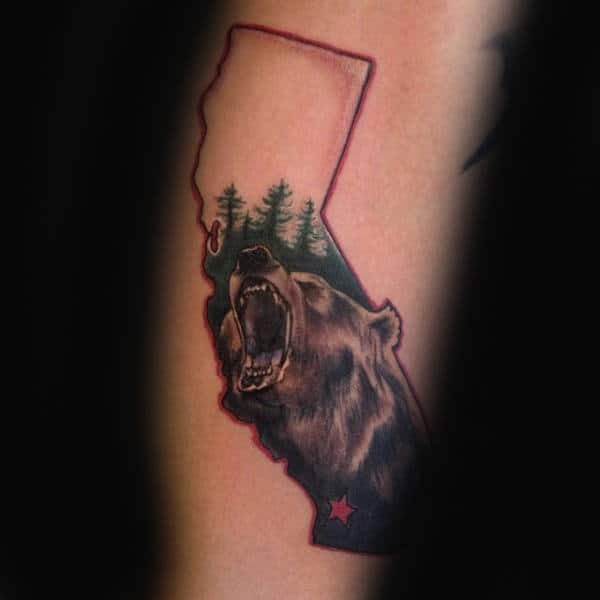 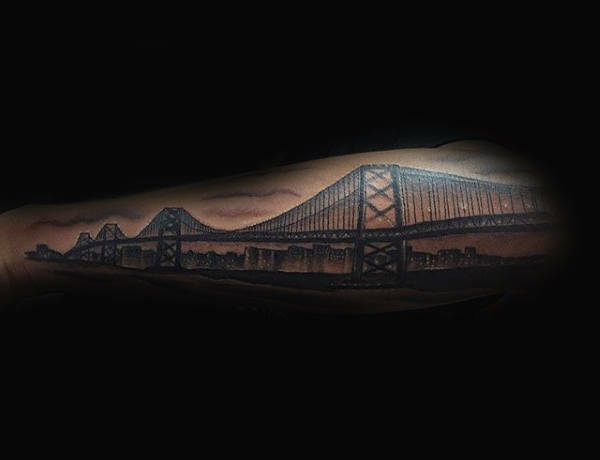 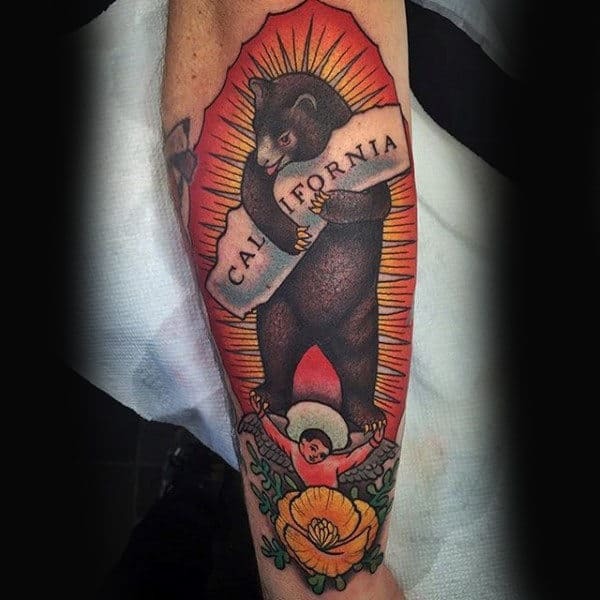 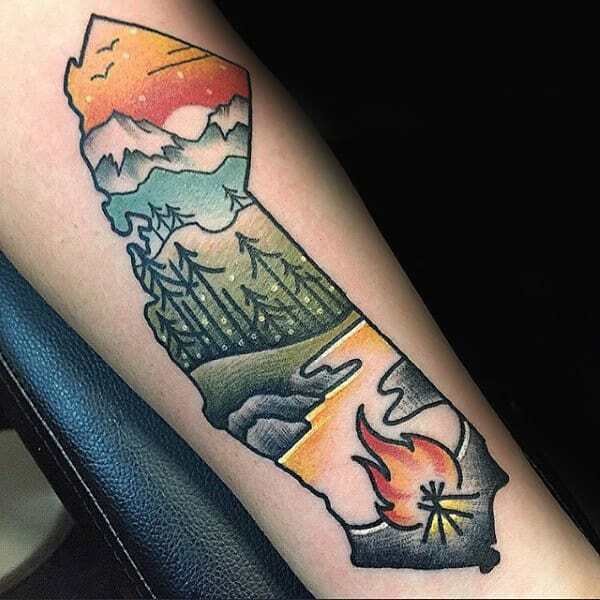 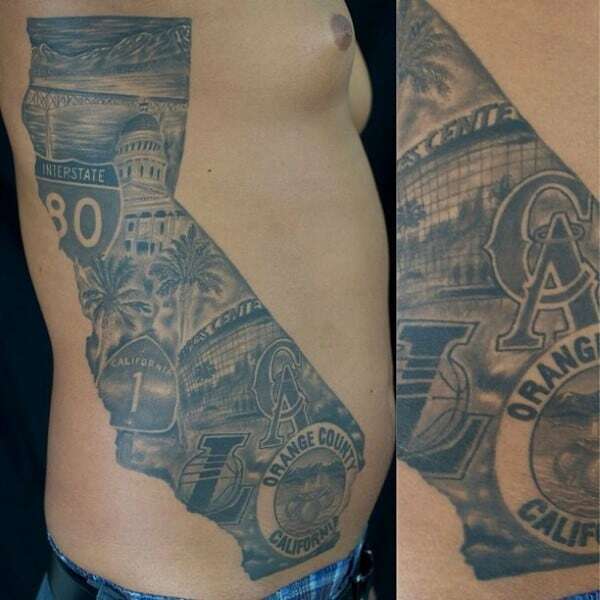 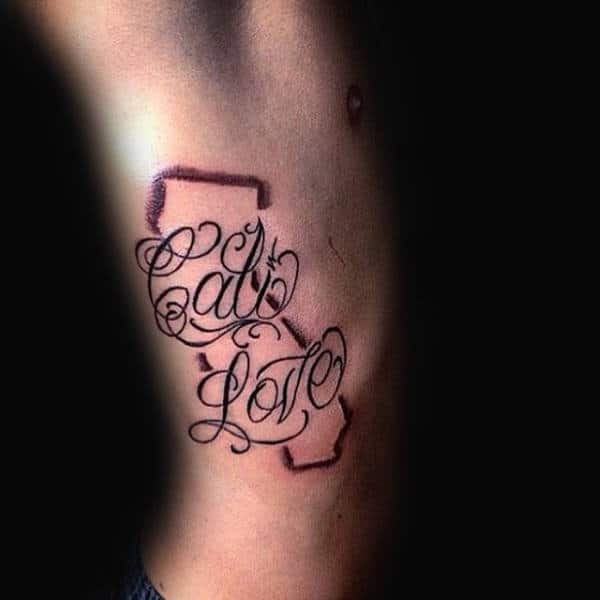 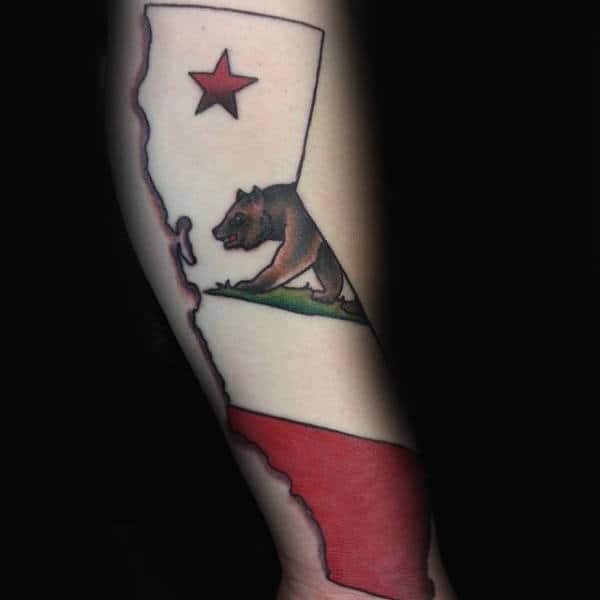 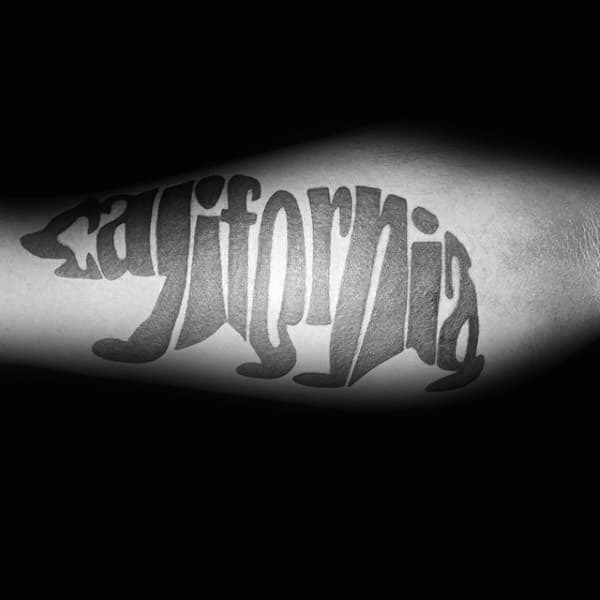 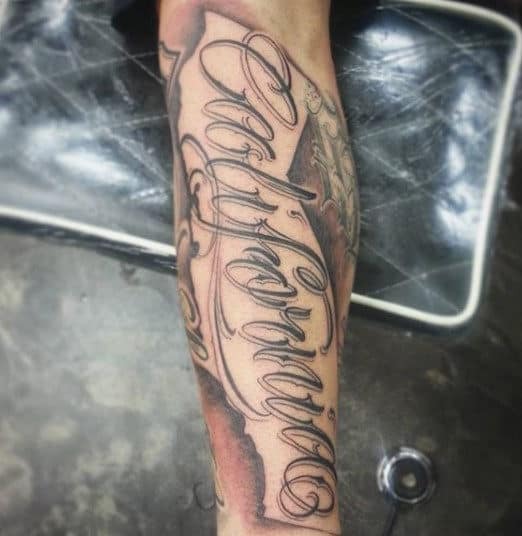 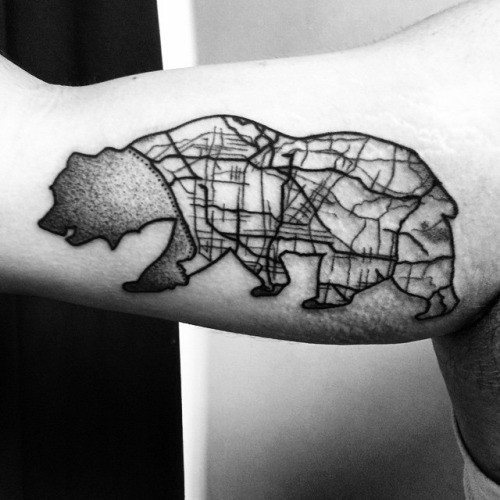 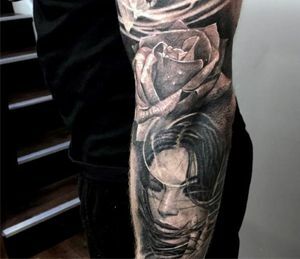 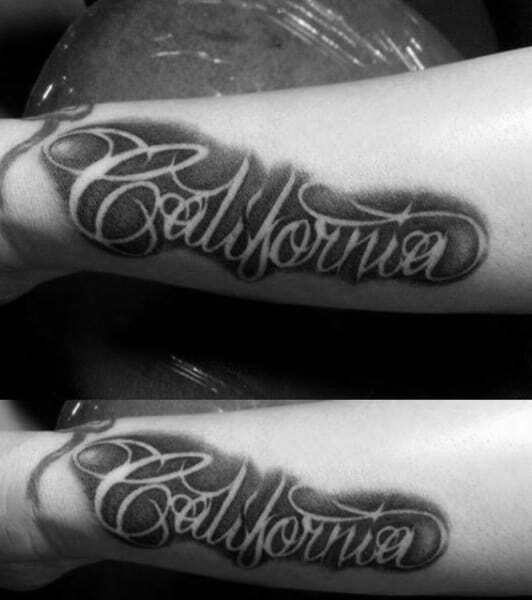 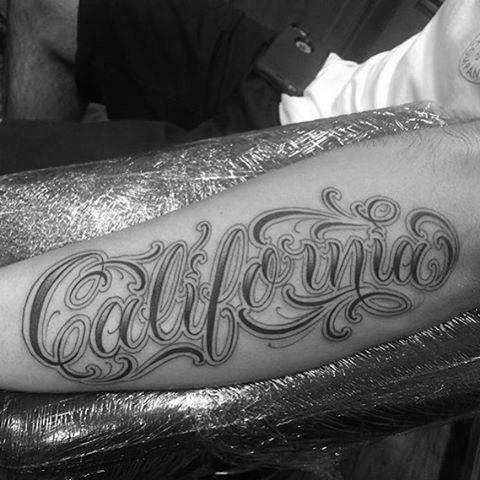 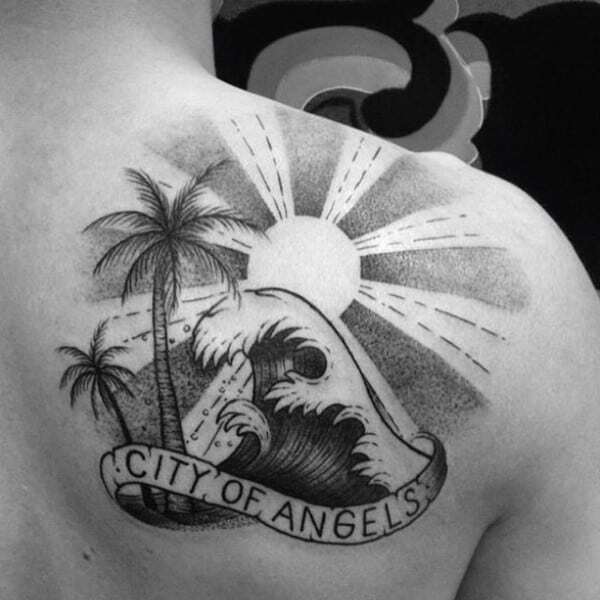 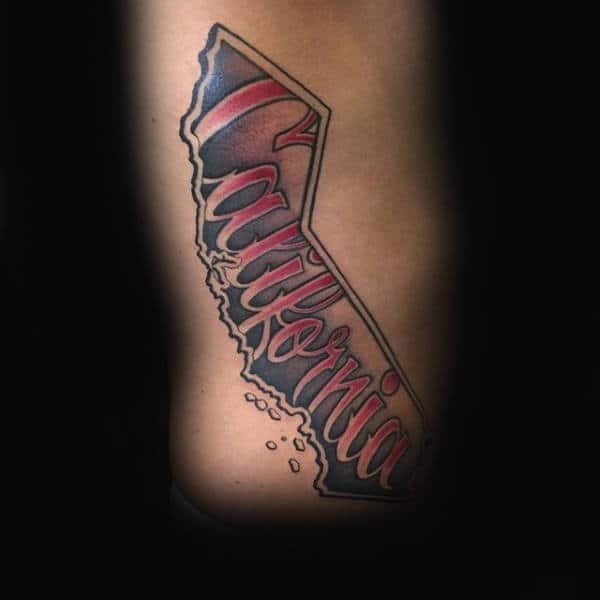 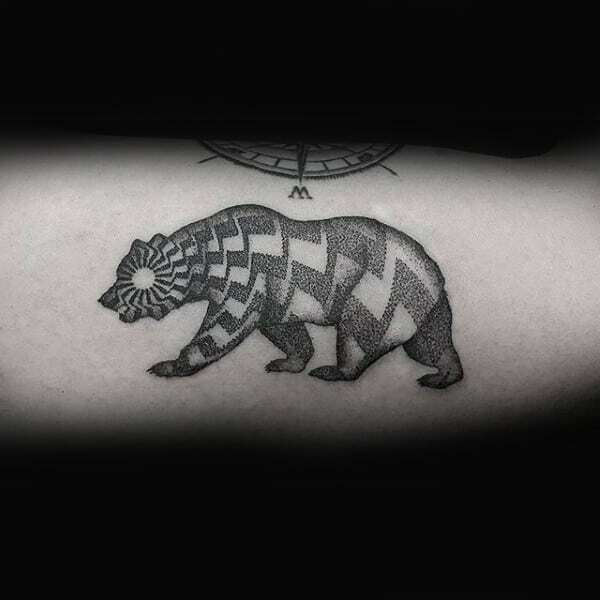 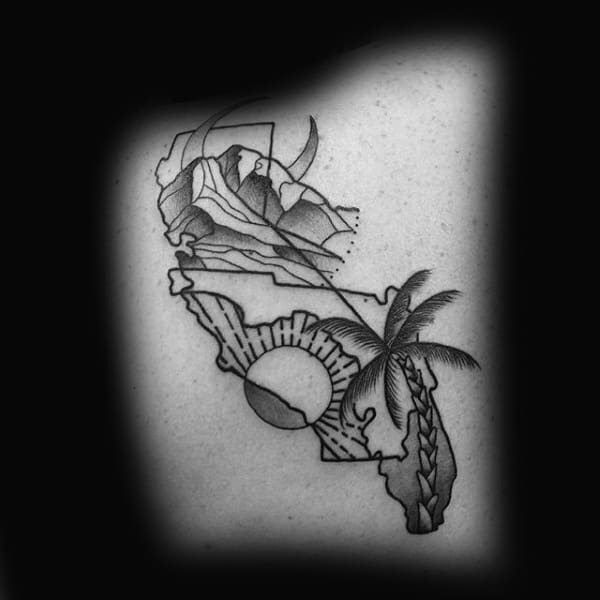 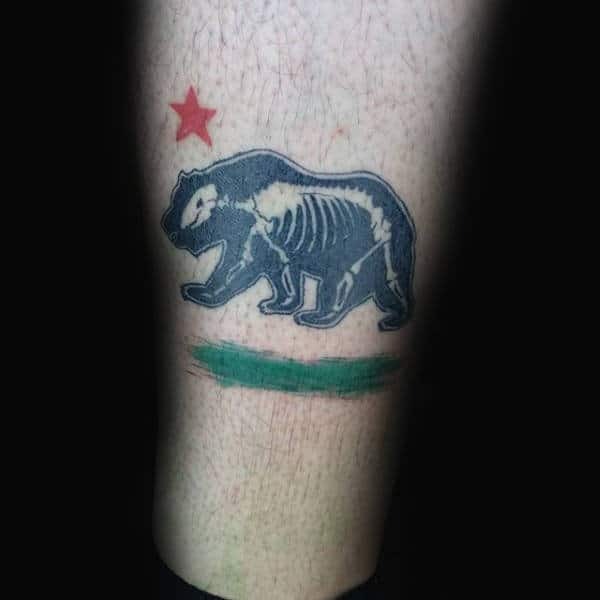 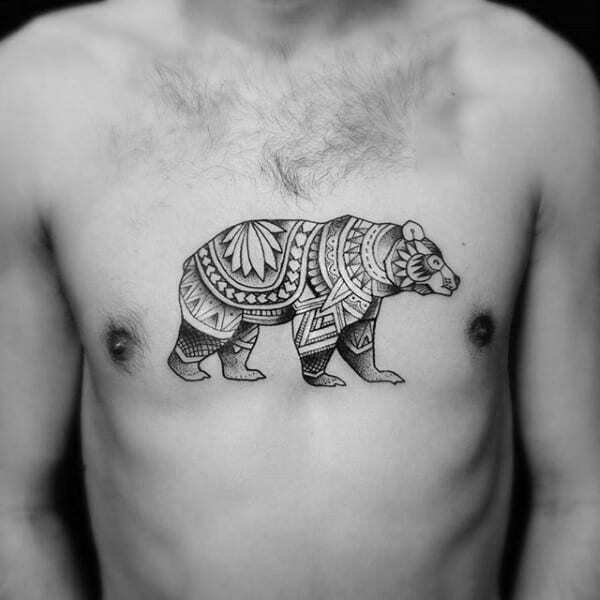 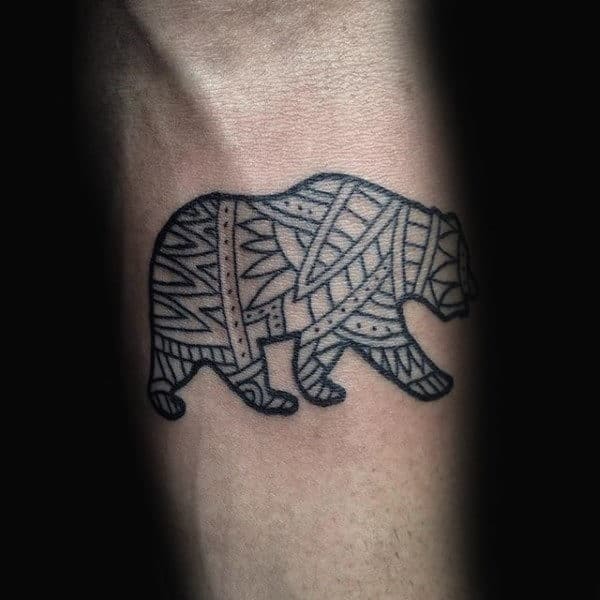 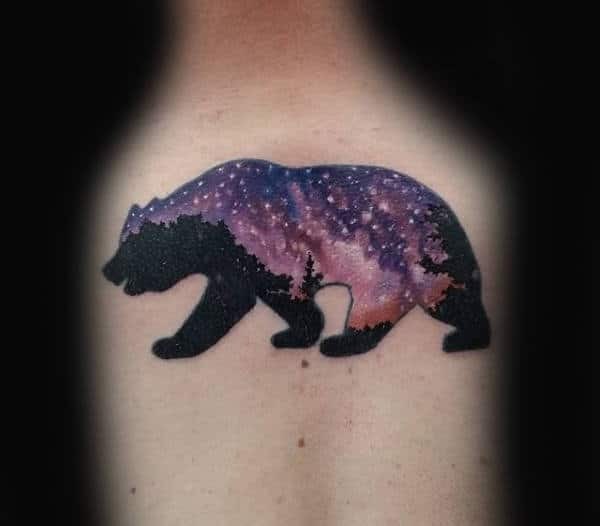 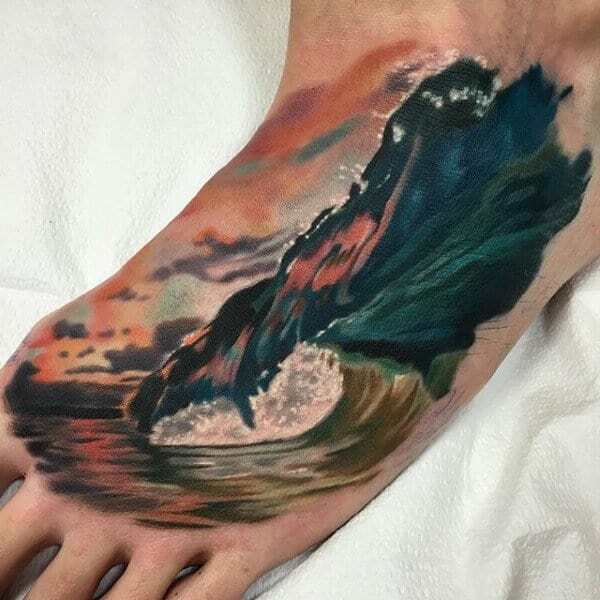 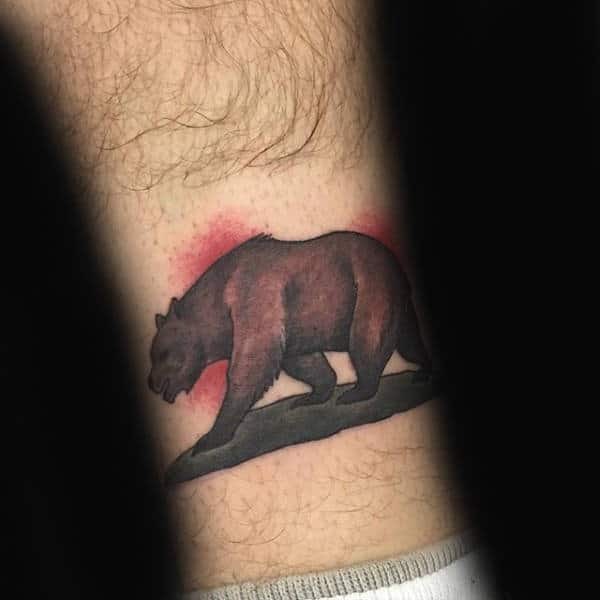 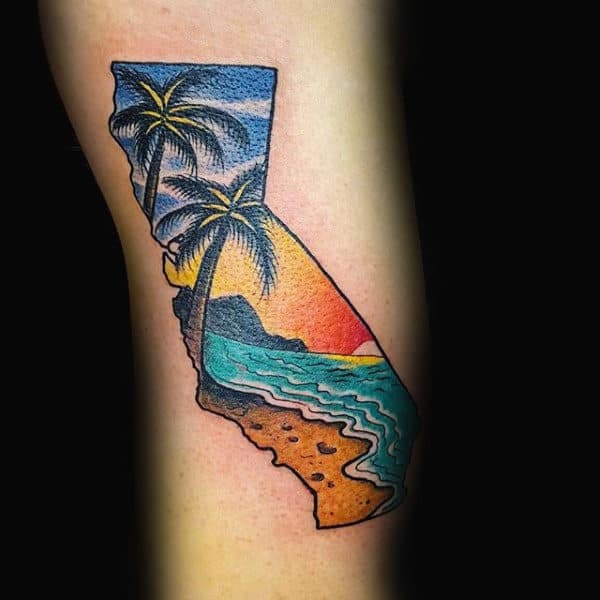 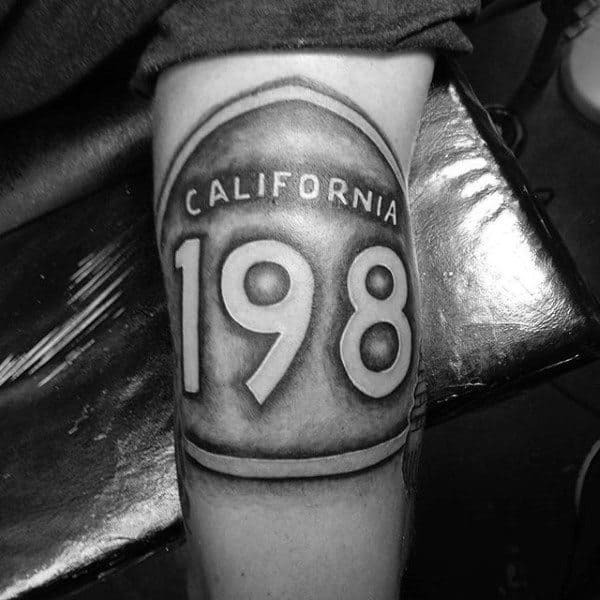 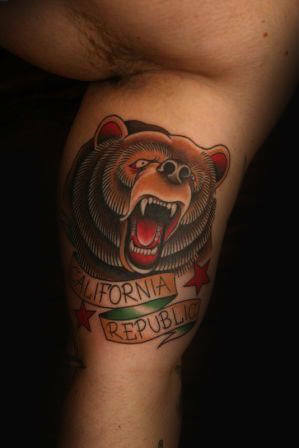 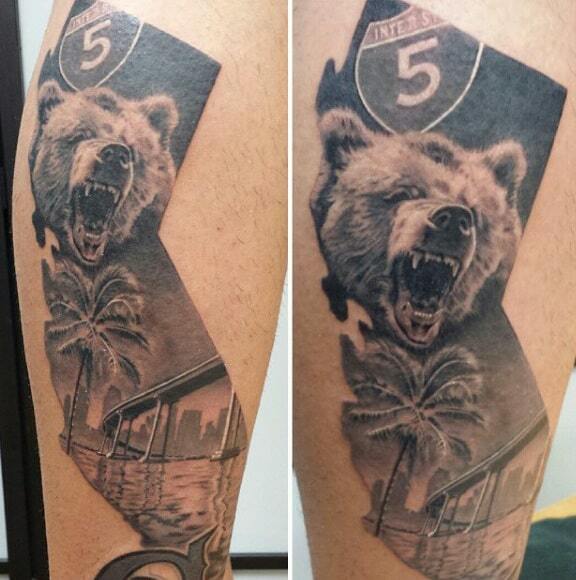 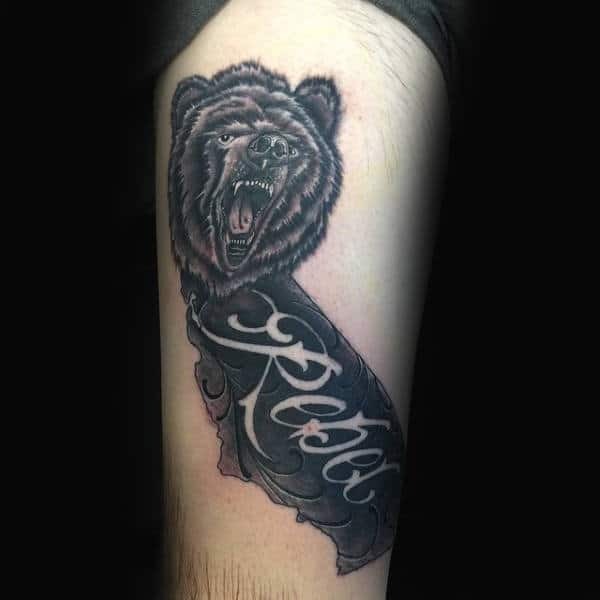 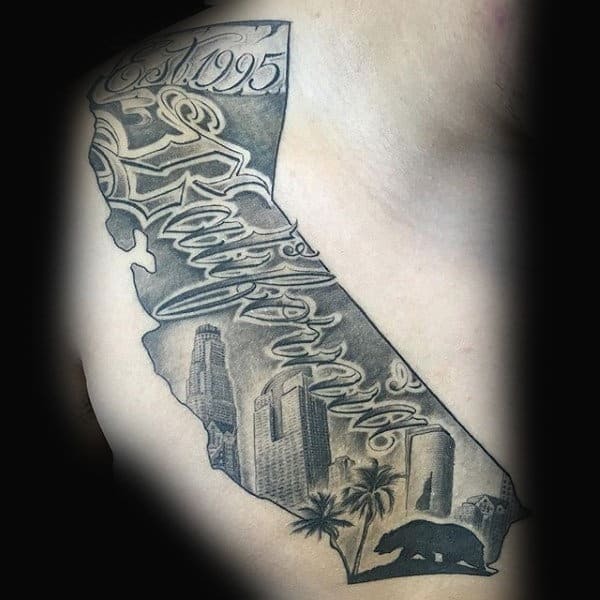 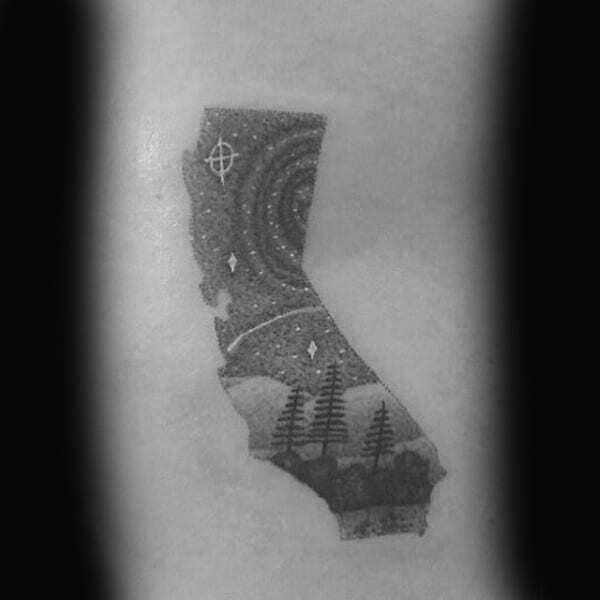 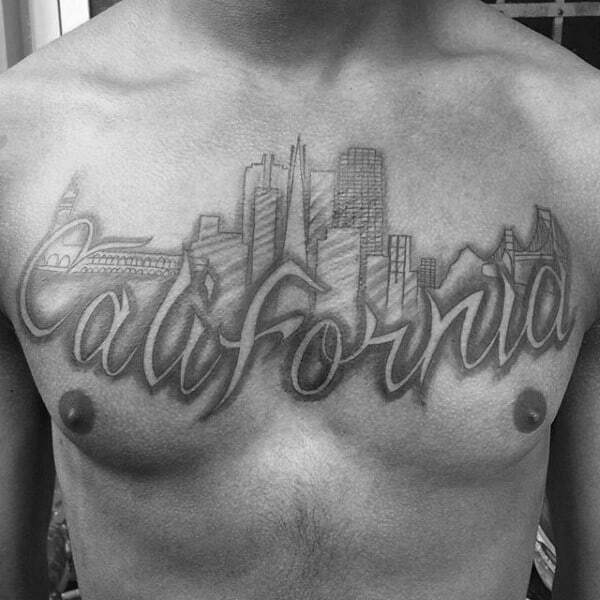 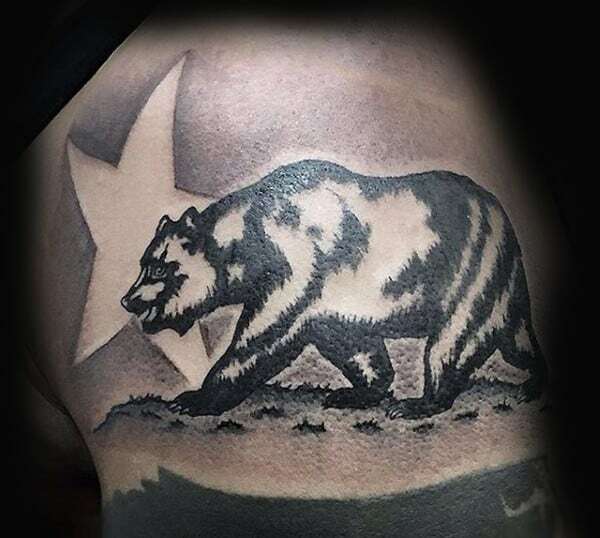 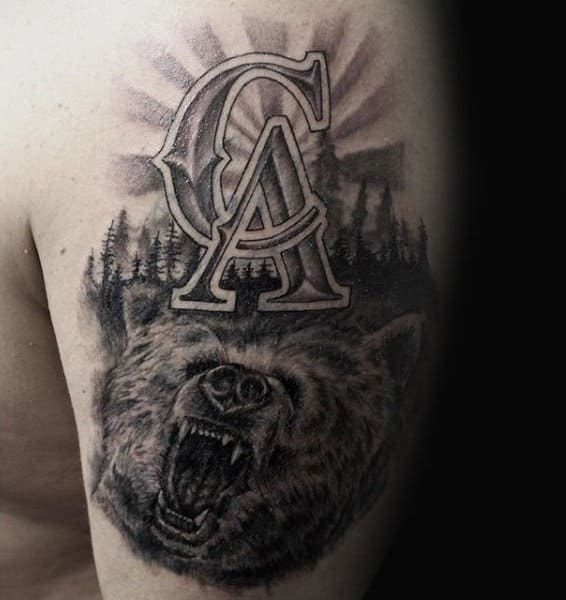 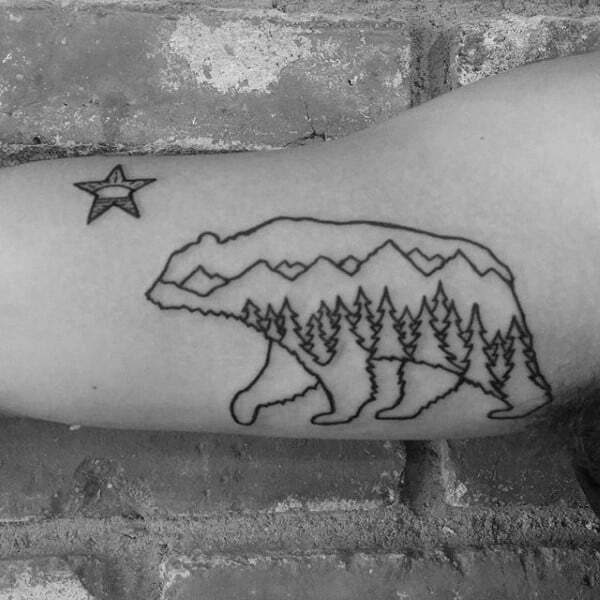 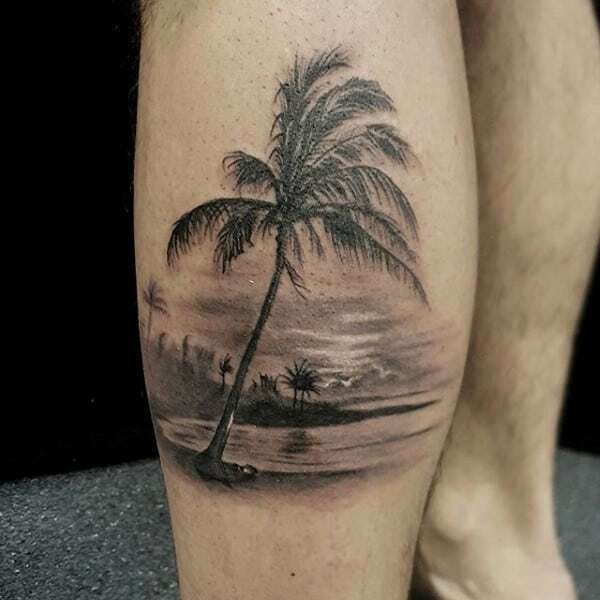 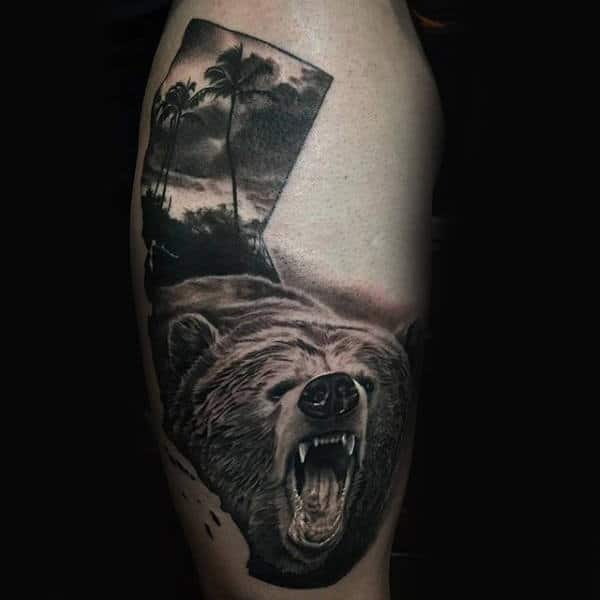 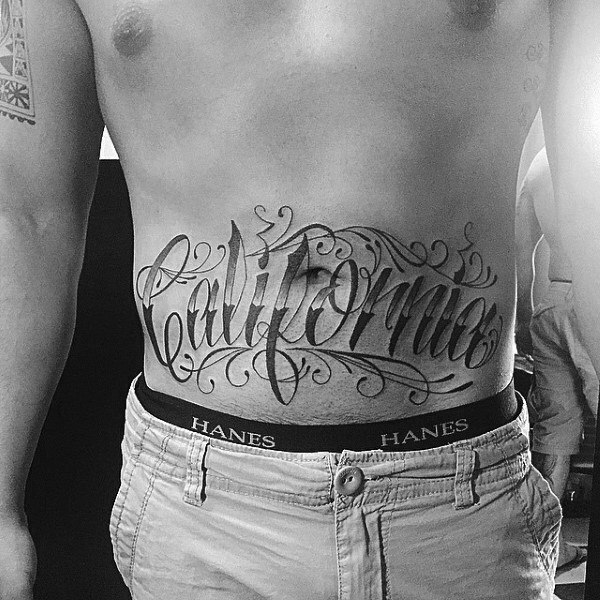 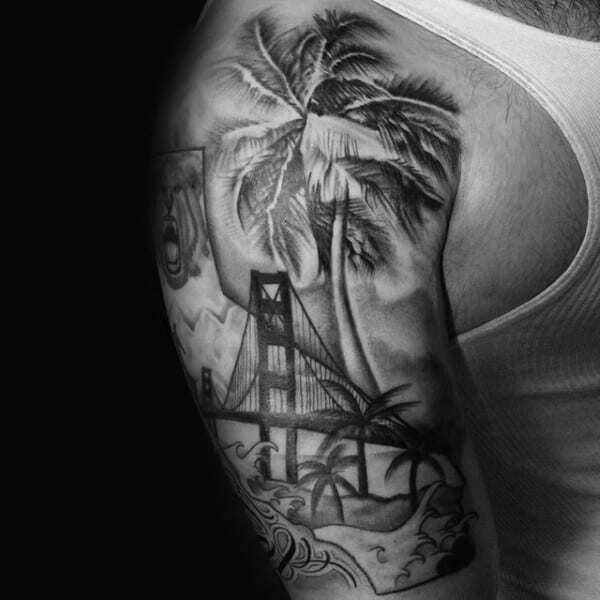 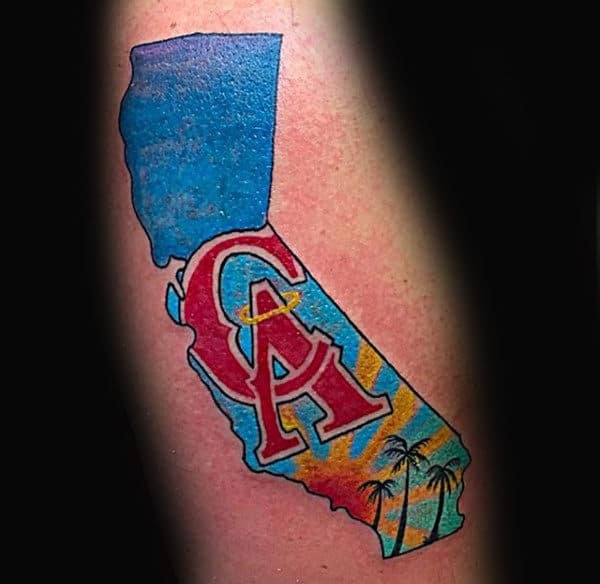 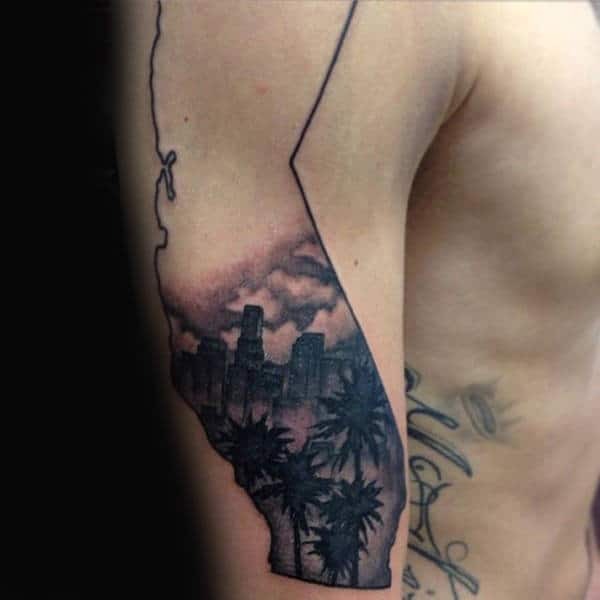 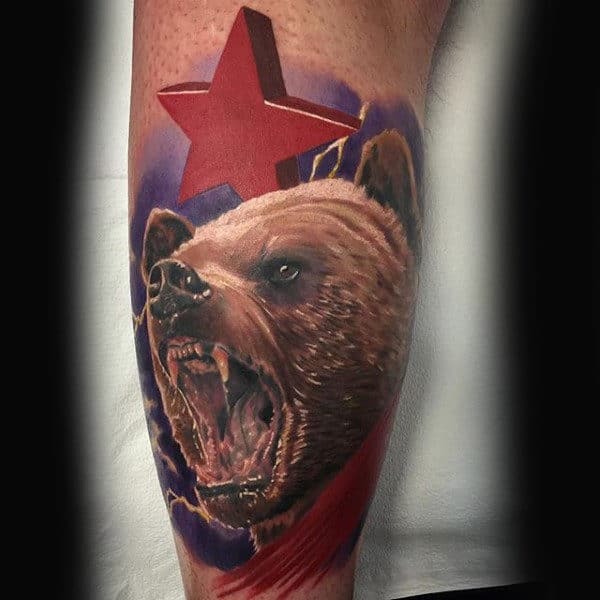 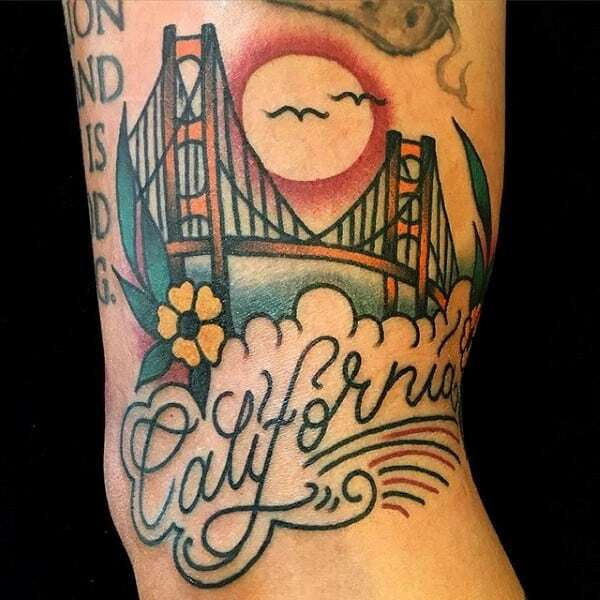 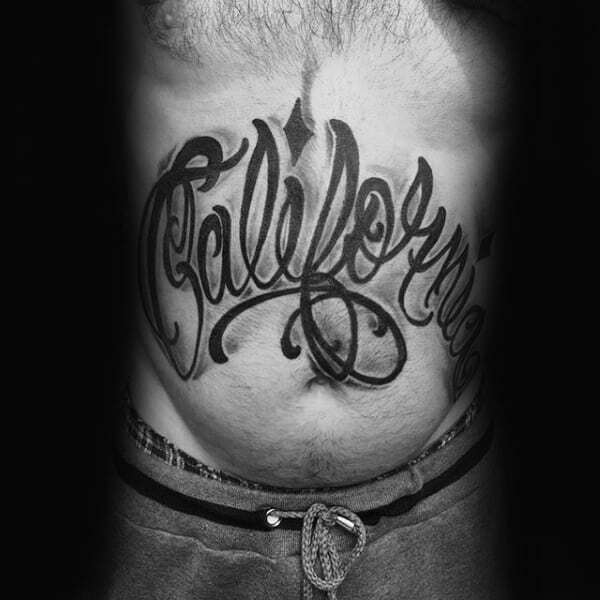 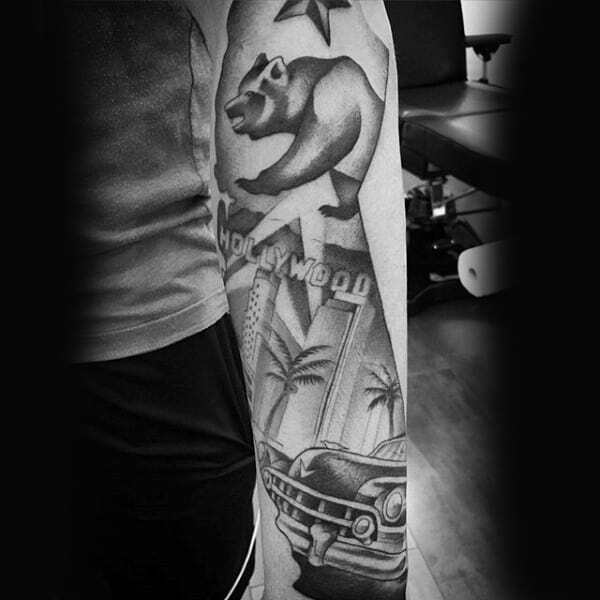 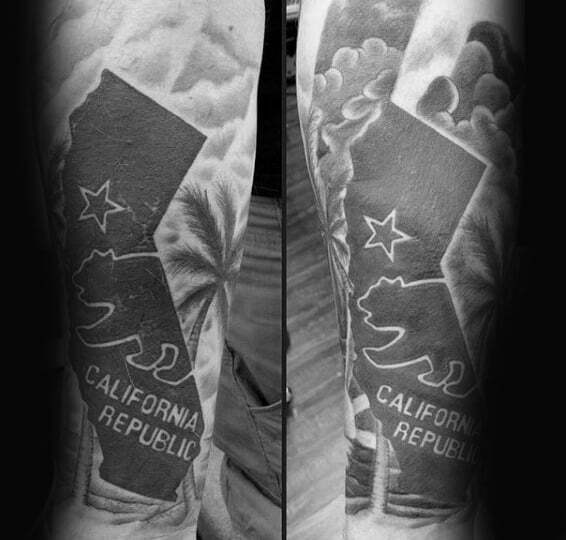 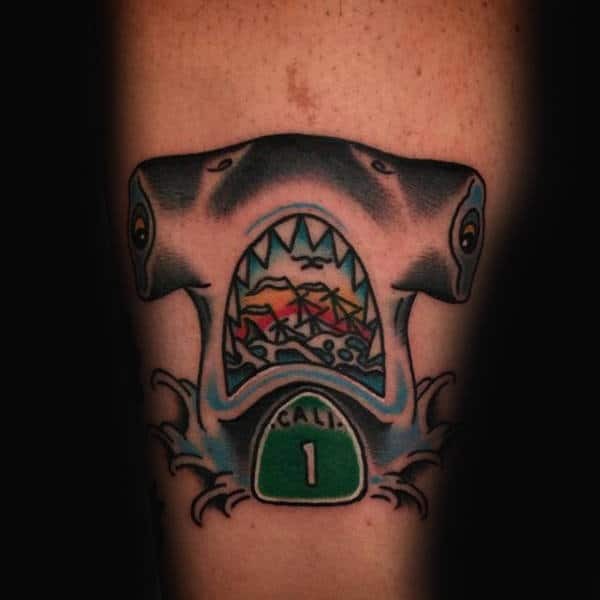 California tattoos are taking the entire country by storm. 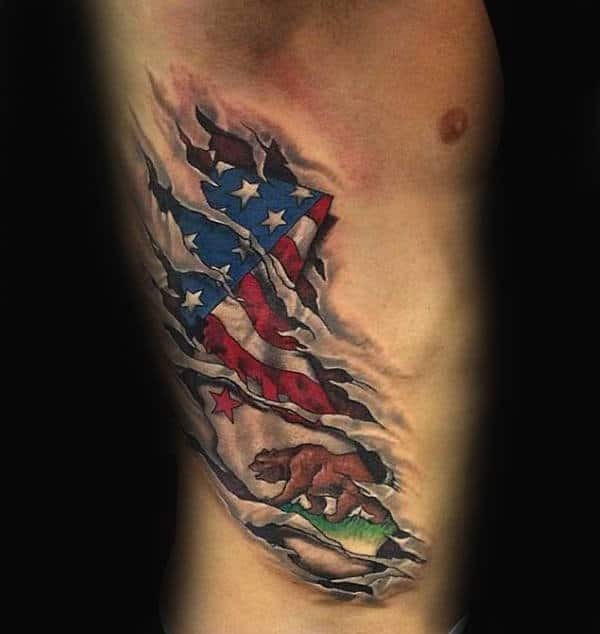 This kind of emblazonment allows men to revel in personal patriotism while connecting with a devilishly handsome exterior. 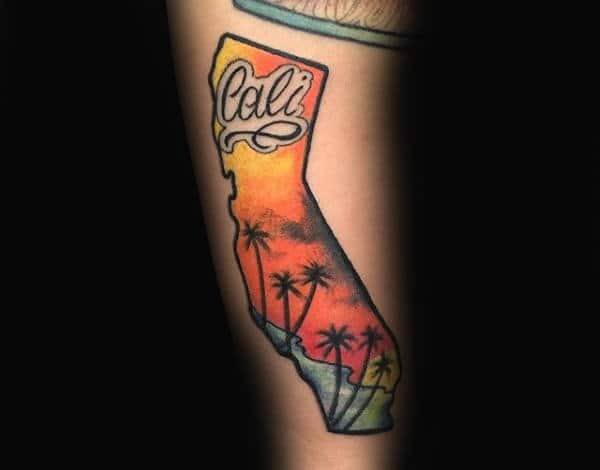 There are practically infinite avenues for pulling off a divine California design. 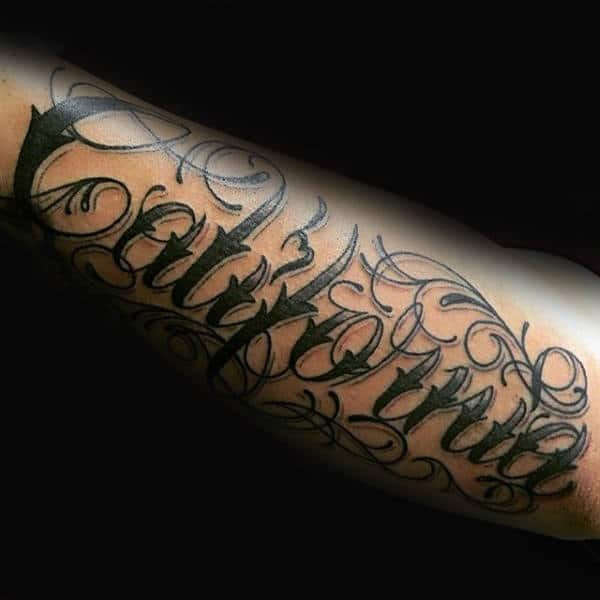 The magnanimous outcome will always be attractive and urbane. 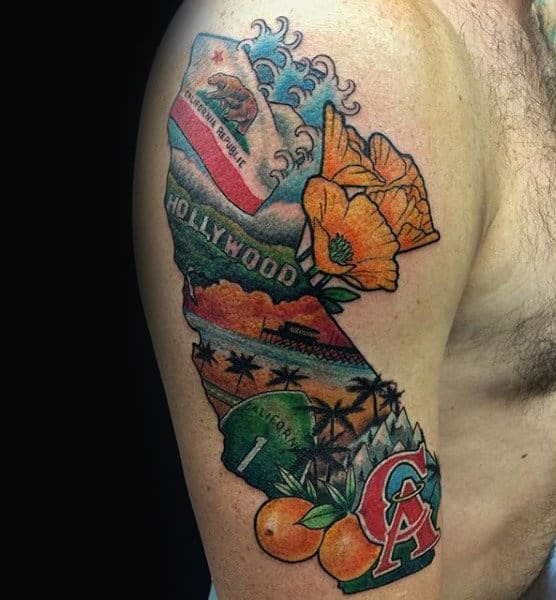 The state flag is always an appropriate choice, and celebrations of Hollywood are featured quite prominently too. 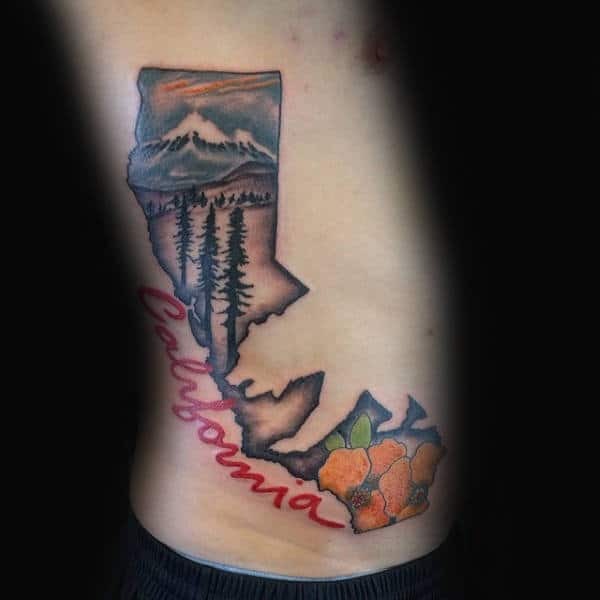 In fact, some guys emphasize their city as opposed to the entire state. 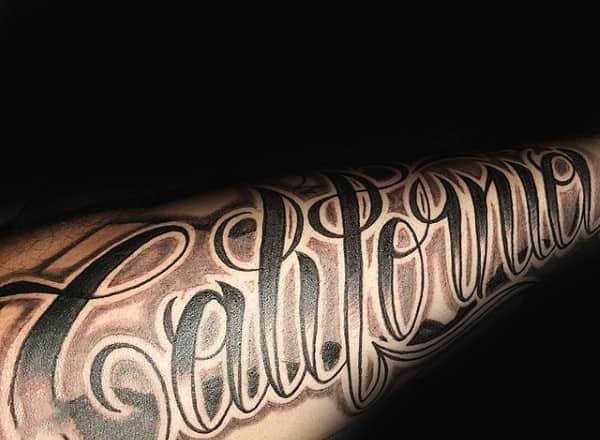 You cannot fail with a vibrant logo for San Francisco, Los Angeles or San Diego. 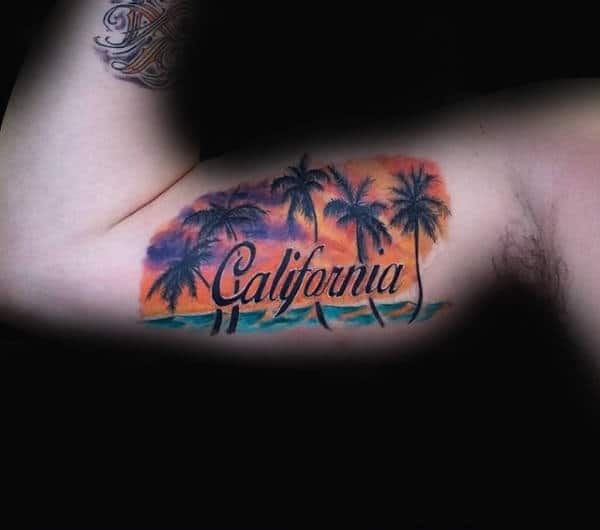 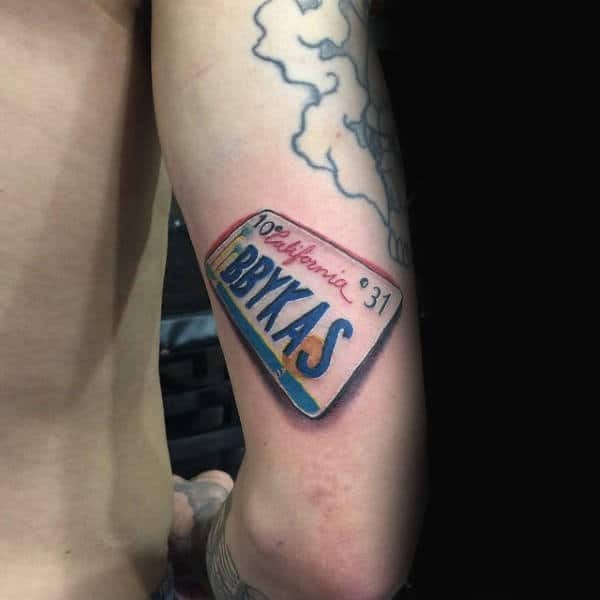 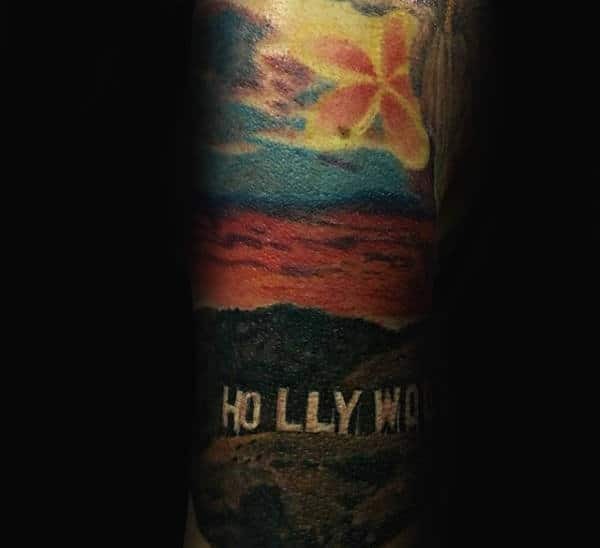 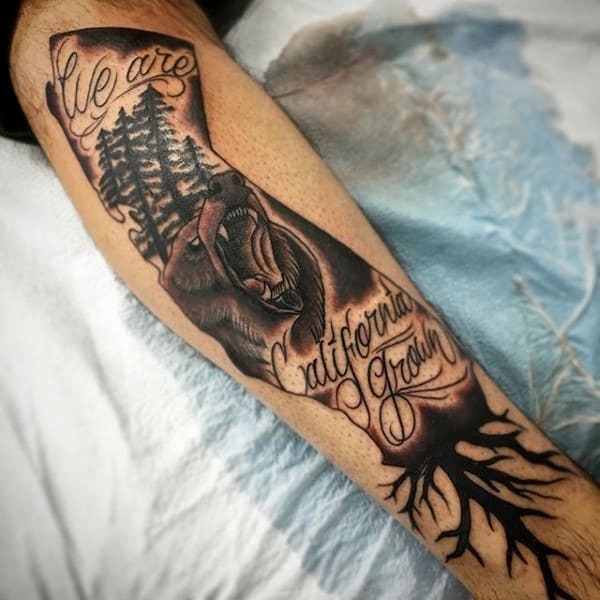 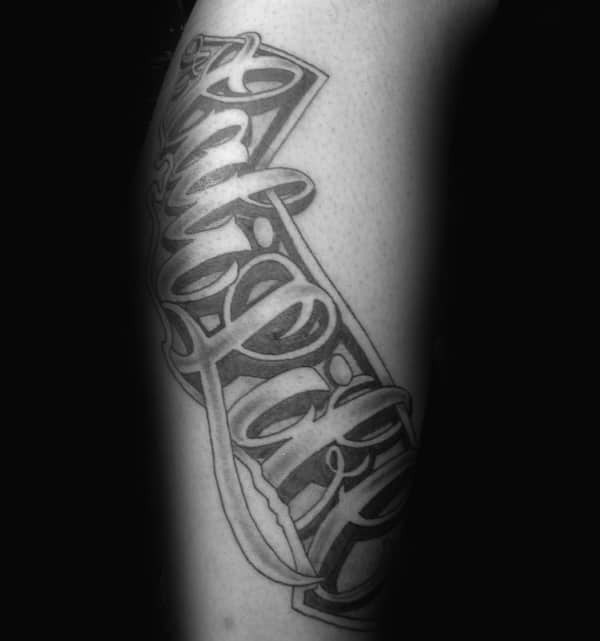 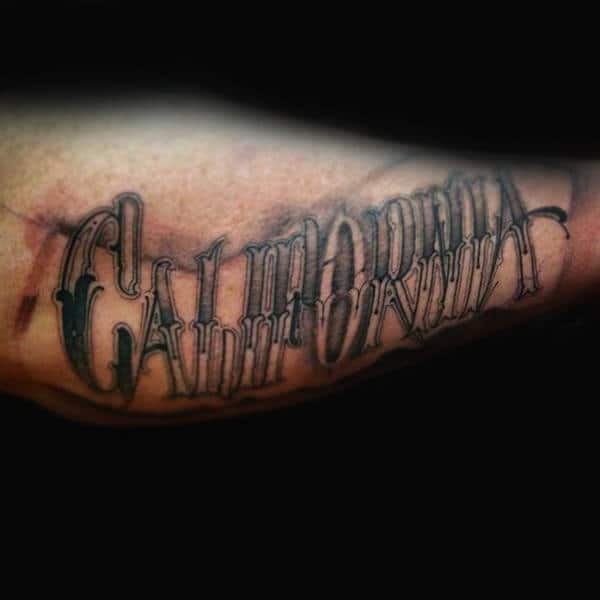 Other California tattoos demonstrate the rural charm of this locale by employing urban graffiti that slyly spells out the state’s name. 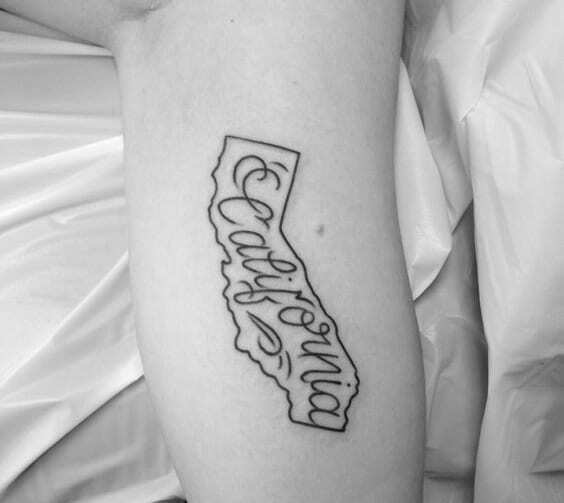 This calligraphy may be encased by the region’s distinct cartographical boundaries for extra pizzazz. 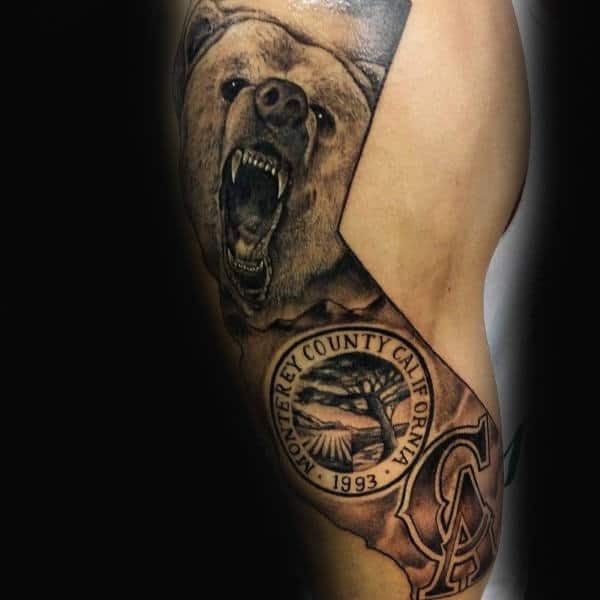 There are also plenty of local athletic associations and sports teams that can lend their likeness to the presentation. 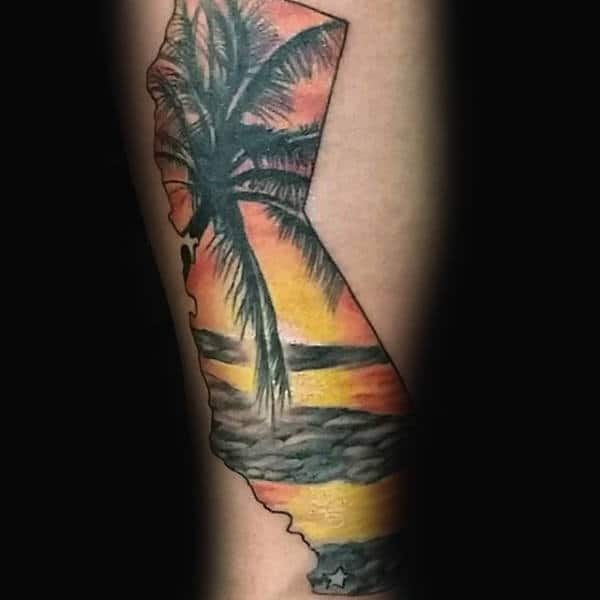 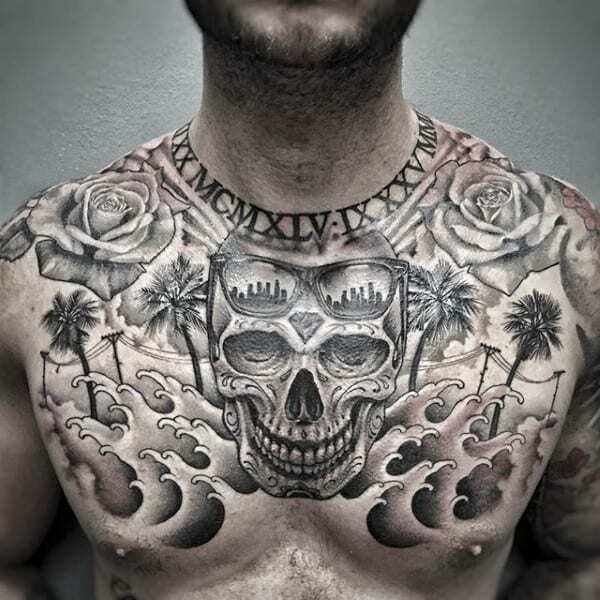 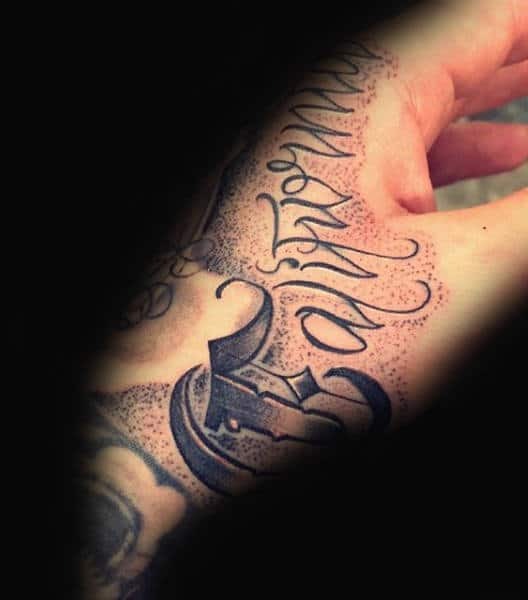 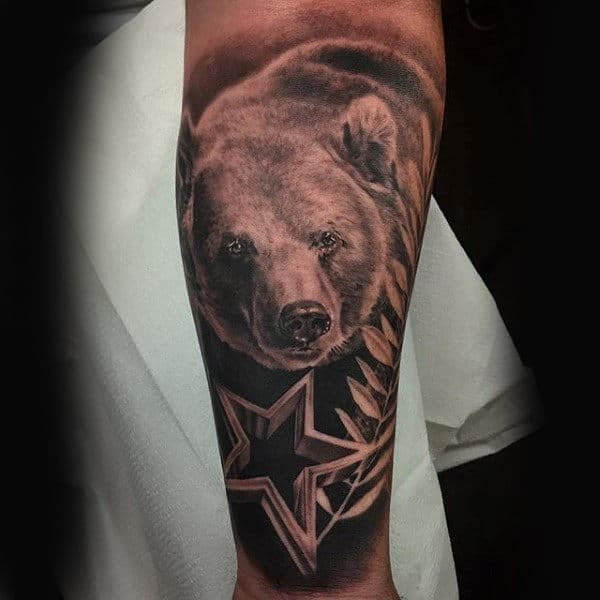 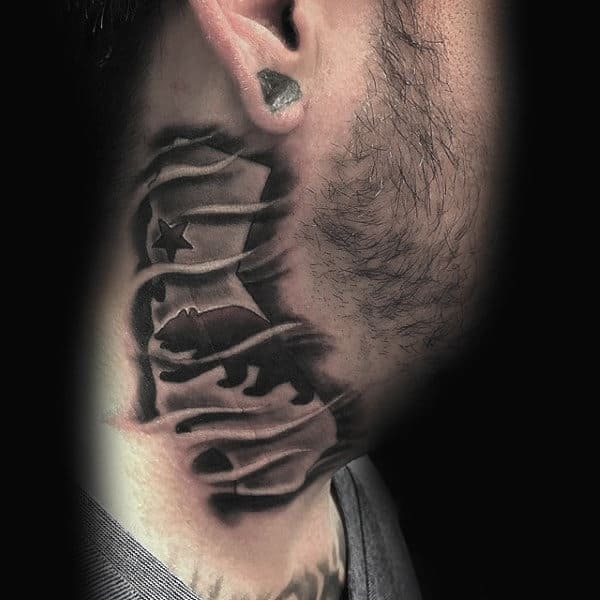 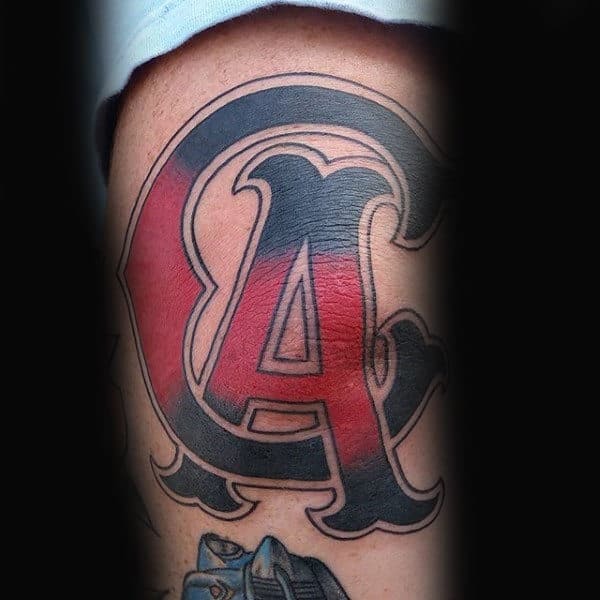 To initiate you into the regal domain of California tattoos, we have professionally assembled a dynamic range of the suave possibilities.